Travelers around the globe are steadily relying on gadgets and mobile applications that can guide and help them reach their desired locations. 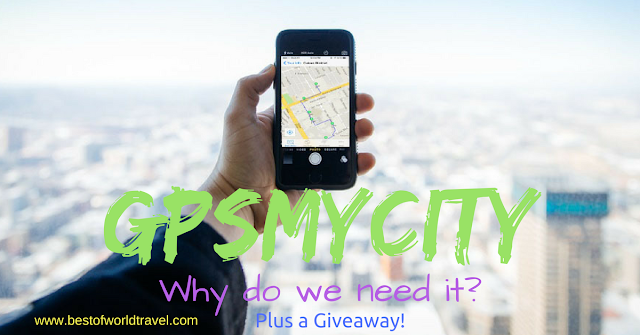 GPSMyCity is one of these travel applications that is constantly helping travelers for the past few months. It is a location focused travel guide app with the vision to share travel articles offline. These travel articles are specifically made by fellow travelers like us, making it more credible and authentic when readers want to visit their desired destinations. You can read our GPSMyCity Review and find out more about its strengths and weaknesses as an Android and iOS App. Yes, internet is just so easy to reach nowadays, but let me ask you something, will it be always free when you go outside? Is your data connection always reliable? Do you have unlimited energy to keep up your data all day? 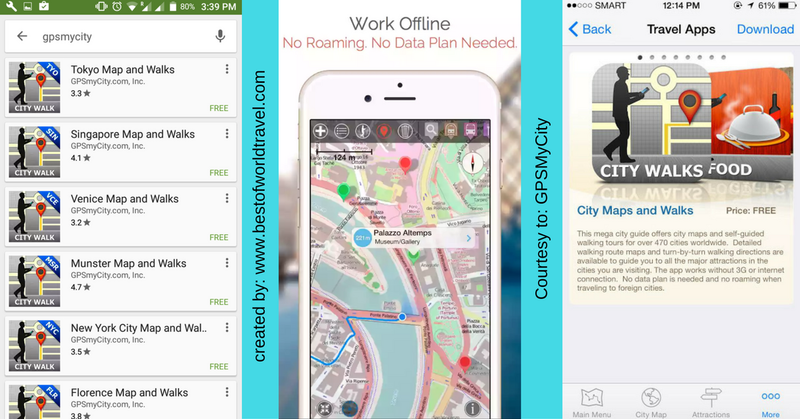 That is the main goal of the GPSMyCity App, to remove these drawbacks of using internet while you’re traveling. Now, let’s get on to the point! 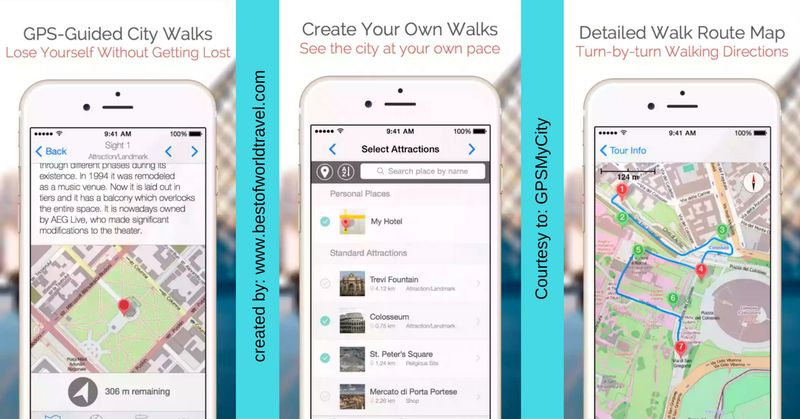 Since GPSMyCity is an app connected to the GPS, every move of the user will be recorded in the application, a turn by turn feature of the powerful walking app. The app also shows what are the best spots that can be visited while en route to the user’s destination. Do you want a review about that particular restaurant you just stumbled while walking? GPSMyCity might have a review on how cool is that restaurant that you want to dine. But the best part is, these article reviews were specifically created by fellow travelers. Meaning, they have probably experienced the awesomeness and elegance of that said restaurant. One good example was our trip to Hokkaido Ramen Santouka that is posted in GPSMyCity App. One of the best highlights of the GPSMyCity as a walking app is the downloadable contents created by travelers. These contents are probably unique and reliable, just like what I’ve stated above. But the best part here, since the users can download these articles for later use, a huge amount of data charges might be lessened. Connect to the WiFi, download the app in your home, get the articles, and…. DONE! Since everyone can have a choice to download the application and articles while in your homes without any data charges, this surely lessens the bill from your data provider, especially when using a Roaming data allocations which is actually too much to pay! Have you tried wanting to read a restaurant review or tips but your internet connection is lost? Or you’re not allowed to use any connection, like in flight mode? GPSMyCity serves its users the ability to read articles while en route without any means of internet connections. Since you have already downloaded the necessary articles online while you were connected in a WiFi, now is the time to read them while internet is not connected. A very long air travel will surely be productive if you are to read these articles and planning your routes. On the other hand, the users will also have no worries in losing connections while going to their destinations. The reliable app doesn’t just ask for payments every time. They also host several giveaways in order to return to their users. As of now, for a week, they are giving a FREE article titled “Cheap Things to Do in Branson”, a Branson, Missouri, USA travel guide. The App is open for all iOS devices and travelers that are planning to check out the greatness of Branson with a little to no cost at all! The giveaway will run from Monday, October 3 to Sunday October 9, 2016. Travelers need a couple of reliable smartphone applications in order to make the traveling easier and fun. GPSMyCity offers a unique way of helping those who travel, by giving the chance to download articles and read them offline. The application can also be used as a virtual tour guide for most of the time. While it gives a unique way of helping those who travels, the GPSMyCity App can be treated as a paid app in order to fully utilize the features of the application.